So let's catch up. It all started with the small town of Willamette, Colorado, a photo-journalist called Frank West, a rather convoluted zombie origin story involving cattle production, wasps and parasitic larvae, and a lot, and I mean a lot of zombies. It was also a cracking sandbox video-game; universally praised and another great, fleshed out Capcom zombie franchise. Memorable for its lavish boss fights, highly imaginative and varied weaponry and its ability to churn out never before seen quantities of onscreen undead, it delivered quite the satisfying zombie experience, getting the balance between tension / horror and goofy humour just about spot on. 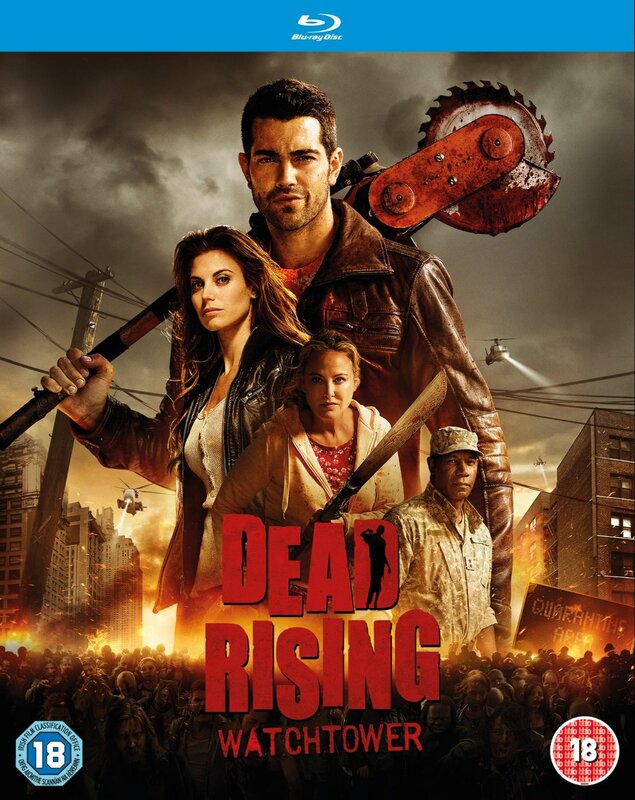 Dead Rising 2, set some five years later, introduced former motocross champion Chuck Greene, who’s turn it was to quell the undead hordes and save the day; though here there was no government conspiracy, merely a sophisticated and ambitious robbery gone terribly wrong. And whilst not really adding to the story, its focus on even more lavish game-play and those elements that set aside the first made it a sure fire hit; though maybe forever entrenching the franchise's position as wacky and fun over tense and dramatic. This is not only where and when director Zach Lipovsky's live action Dead Rising: Watchtower comes in, but also clearly presents him with his biggest challenge. Jesse Metcalfe is Chase Carter; another reporter, this time investigating the sudden out break and quarantine of the town of East Mission, Oregon. Seemingly under control by F.E.Z.A. 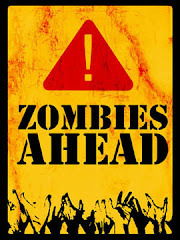 (Federal Emergency Zombie Authority) what initially seems like quite the non-event, as is the often the way, soon explodes with all the running, screaming and dying we love to watch. Desperate to escape the carnage, Chase runs, teams up with the much more on the ball Crystal O'Rourke (Meghan Ory) and the grieving (though in denial) Maggie (Virginia Madsen), and together fight their way through quite the intricate, surprisingly rich, full and satisfying zombie survival story. Dead Rising: Watchtower is stylish, modern feeling and sumptuous to watch, and when it gets it right, it really does. The problem Lipovsky seems to have had though, was how to play proper homage to the films video-game roots whilst also providing said post Walking Dead zombie satisfaction, and here it falls down coming across conflicted, disjointed and incongruous with its identity. On the one hand there's a quite the dark and brooding, quite serious zombie apocalypse story, with conspiracy, intrigue, sadness; and it's really rather good. Then on the other hand there's a wacky and farcical video game film full of irreverent humour and call-backs someone who's not familiar with the franchise would find confusing, and one who is, would just not find funny or that welcome. The killer clown, the biker gang, even to a certain extent the effort and attention to the assembly and use of elaborate zombie dispatching weaponry, whilst all a tad obvious and contrived, I could kind of live with. What I struggled the most with however, and the biggest example of the split personality, comes from Frank West (played by Rob Riggle) and his interviewer scenes with their incessant need to continuously interrupt the action with vapid, corny and entirely unnecessary wittering. As the film progressed I found myself increasingly irritated by this need; this design, to pull me from the entirely engaging action just to have me watch a puerile, and increasingly desperate bit of comic relief; which really only acted to break immersion and hamper the pacing. Coming in just under the two hour mark too, it's criminal that there wasn't the confidence to ditch something that could easily have shaved off a minute or ten, as I refuse to believe these points weren't gleaned during post-production. The wasps, the larvae, the incubation and all the highly contrived Dead Rising back-story appears to have been brushed aside in favour of quite the more traditional and safe zombie virus / infection one. People are bit, the zombie virus is transferred and unless one can get their hands on a dose of zombrex, a targeted anti-viral, before the change then it's shuffling, groaning and goodnight Vienna. A more traditional origin story does simplify things though, and I'm probably a lone voice even mentioning wasp queens and all the added complexity that comes with them. 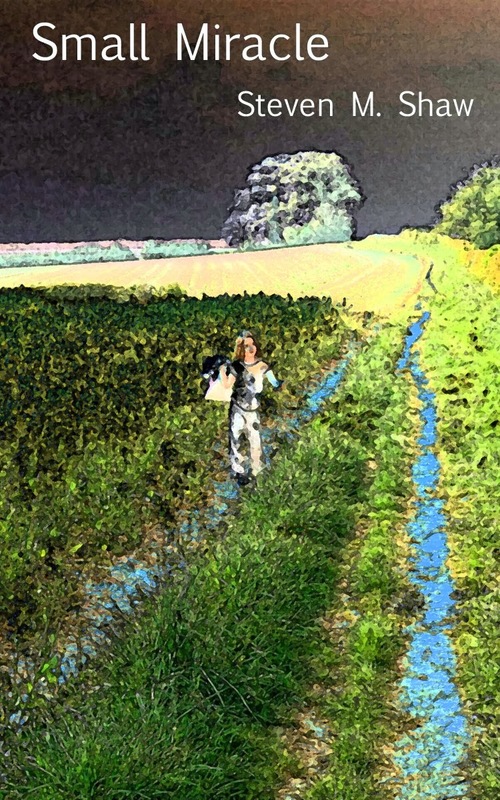 Though to be a stickler, a little more adherence to the accepted long incubation period after contracting the virus would have been welcome; for consistencies sake. Still, the undead gut-munchers of Watchtower are everything one would expect of a modern well-funded zombie thrill ride, with coherent and consistent choreography, sumptuous make-up and perfect to the point of actually noticing things, continuity. Lipovsky also isn't afraid to push the boundaries of taste and decency, with children, the physically disabled and even babies on the wrong side of gratuitous and excessively good gory munches. This ain't no dumbed-down and sterile family friendly feature. 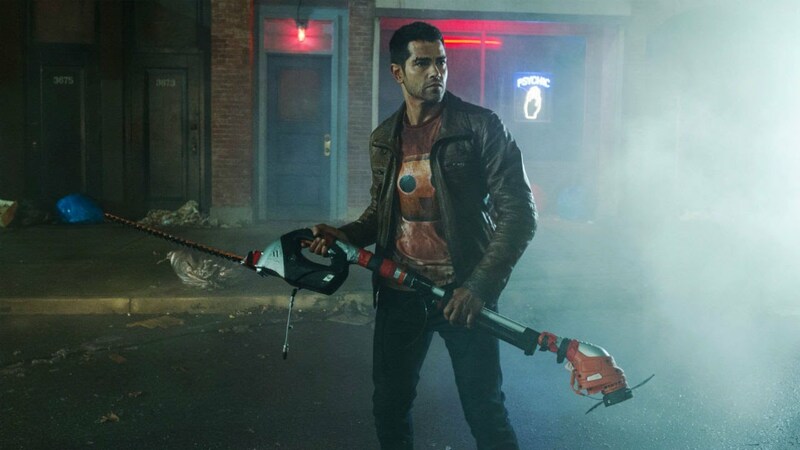 With a good edit to tighten everything up and the removal of all the Frank West fluff I'd argue Dead Rising: Watchtower could be up there as one of the best modern, good looking, well though-out and expansive zombie action spectaculars. Then again, maybe if it had played the video game trump card, goofing everything up with lavish bosses and full-on invested Campbell-esque language, humour and set-pieces, it would again, have worked just as well; though as a significantly different beast. As it is, this half way house just doesn't quite work which is a huge pity. I'll be honest I didn't approach this title with high hopes but I also didn't expect to come away angry and disappointed over a couple of strange piddling directorial decisions which detracted from what was / is fundamentally a brilliant film. Aarrgghh! As they say. - 6/10.